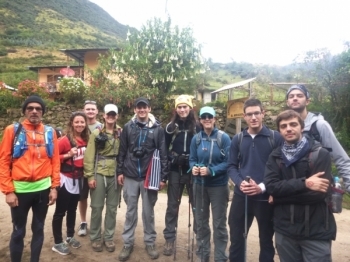 The inca trail is the trip of a lifetime and it is really important to get the right tour. I had the most fabulous four days with the Inca Trail Reservations team and I can't recommend the tour enough. This trip and visiting the Andes has been on my radar since I studied the Inca civilization in primary school (about 48 years ago). To have achieved the high passes was a real challenge having suffered from altitude sickness in Morocco in the past. Good advice from the team and more research resulted in a successful attempt on this occasion. Thank you for an amazing experience. Juan Carlos was a wonderful guide, he created a family with our group and was wonderful with the porters. Super duper guy! Gracias. The porters and the cooking was wonderful.... Thanks so much tie the great cake and popcorn ! Delicious! I had the most amazing time. Beautiful people and wonderful views. 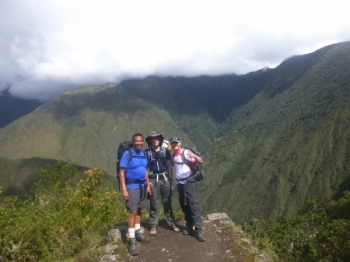 The inca trail is an incredibly important natural beauty that should be cherished and looked after forever. It was such an amazing experience . Paul and Jimmy were both amazing . Very knowledgeable . The food was great . Very kind people. Beautiful country , beautiful people. The Inca Trail was wonderful . The briefing was second to none could not have asked for a better induction Raul covered every aspect of the trek in detail.